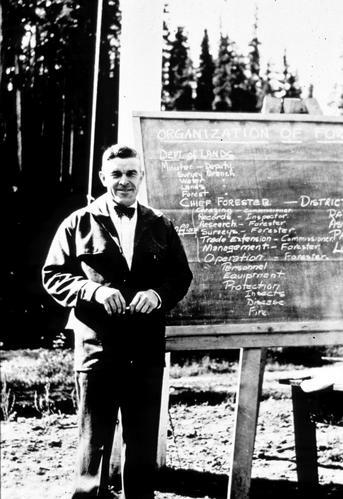 Aleza Lake Research Forest Society (ALRF) in collaboration with Northern BC Archives & Special Collections (UNBC Library) is pleased to announce a new student summer position. 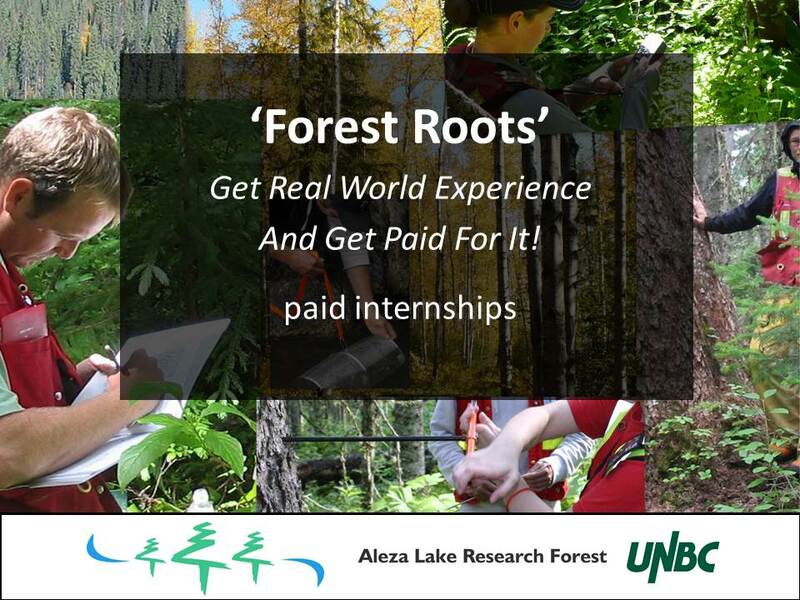 This student position is a collaborative initiative between the ALRF Society and Northern BC Archives to develop outreach and educational initiatives about the cultural and scientific heritage and history of the Aleza Lake Research Forest and its surrounding landscape. This position is open to students currently enrolled in an undergraduate or graduate university-level program. Please see the job description for more details. 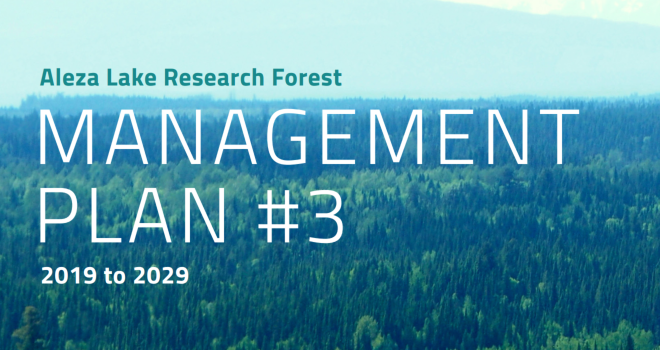 The Aleza Lake Research Society is pleased to announce and make available our ten year management plan for the research forest. This strategic plan provides detail on our management priorities explaining how we operate within our tenure area. Getting your first job can be a challenge. At the Aleza Lake Research Forest we are helping bridge that gap. The Forest Roots Trainee position has been designed to provide an excellent introduction to work in Forestry and Natural Resources Management. See the job description below.